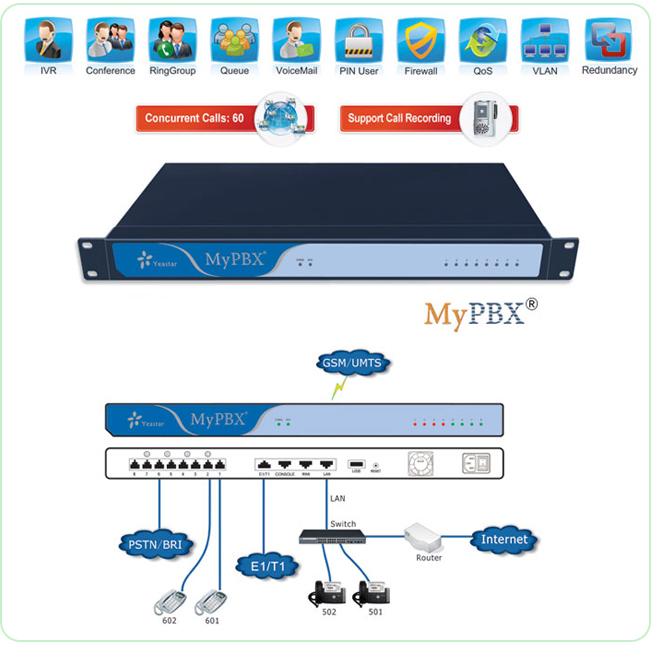 MyPBX Enterprise is a workhorse designed for companies requiring up to 60 concurrent calls and 300 users. It supports PSTN, ISDN PRI/BRI lines, GSM/UMTS networks and VoIP. With the optional hard disk drive, it can support full time call recording (call logging). MyPBX Enterprise is truly unrivalled for features and value.